A strong heavy duty modular wire shelving system that is ideal for coolrooms, commercial kitchens, warehouses, storerooms, hospitals, garages and homes. Comprising tubular posts and height adjustable shelves in four styles and a range of sizes. Shelves of the same dimensions can be assembled together in any combination. For example, a flat shelf can be assembled with wine shelves or display baskets. The heavy duty welded wire construction is zinc plated, prior to being finished with an epoxy powder coat for maximum protection. All components in our wire shelving system are electroplated and clear coated. This results in a brilliant high gloss finish that adds durability and corrosion protection. Standard heavy duty shelves are available in seven different sizes that can be matched with any of four post heights to produce shelving from 1370mm to 2130mm. Flat shelves can be mixed and matched with other shelf styles and can be fitted with locking castors for mobility. Wine shelving is an attractive and safe way to display and store wine bottles with each bottle securely cradled to prevent movement. Adjustable shelves allow storage of many different sized bottles while the open wire construction permits air to circulate around the bottles. Slant shelves allow maximum visibility, accessibility and simplified product restocking. Rear load/front pick assures first in, first out stock rotation with angled shelves providing gravity feed. Shelves are adjustable for height and can be used with other shelf styles. 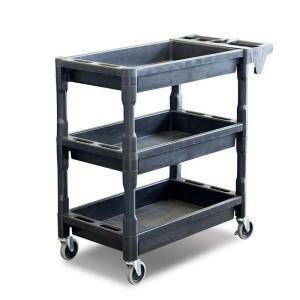 Locking casters can be fitted for ease of mobility. 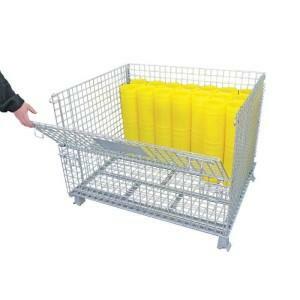 Like slant shelves, display baskets allow maximum visibility and accessibility. Shelves are adjustable for height and can be mixed with other shelf styles. Mobility and re-location is made easy with optional locking castors. Baskets are ideal display storage for pre-packaged products or grab-and-go merchandise. Clear epoxy powder coat finish over zinc plating. Suitable for coolrooms and commercial kitchens. Adjustable, levelling feet (optional castors). Holds up to 200kgs per shelf. Description: Modular wire shelving system. Material: Zinc plated mild steel. Finish: Clear epoxy powder coat finish over zinc plating. Loading: 200kgs loading capacity per shelf.